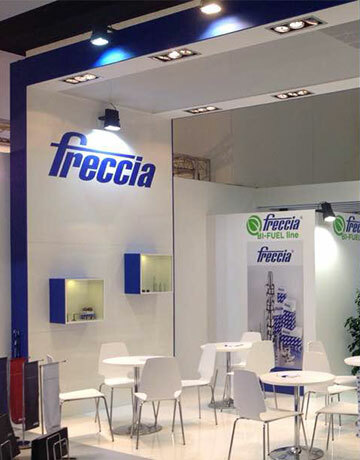 Freccia International is one of the most important worldwide supplier of engine components for the Aftermarket (IAM). Freccia was founded with the purpose of commercializing engine valves in the aftermarket; the Company’s commercial policy has been developed in order to support the valves sale with high quality engine and transmission components. Freccia Agri-Line, related to Lombardini and Ruggerini engines. An excellent level of customer care led us to become a reliable partner for the most important distribution companies in the world. This was possible with the cooperation and support of Scarpa & Colombo, specialized in valves production for the OEM since 1923. Scarpa & Colombo is always at the top in the supplier ranking for the most important engine manufacturers for agricultural, truck and motorcycles fields, reaching a production capacity of 3.000.000 valves per year. In 1995 Scarpa & Colombo obtained the certification for our quality system, consolidating in the last years its own production capacity including for the small cylinder 4-stroke engines for scooters and obtaining the approval by the main European manufacturer. Currently the certification of quality system is the UNI EN ISO 9001: 2008. The key factor of Freccia International success are the stock availability and the capacity to provide a wide and deep product range. In addition Freccia has an excellent distribution network which is able to cover capillary the Italy and also the main countries abroad.